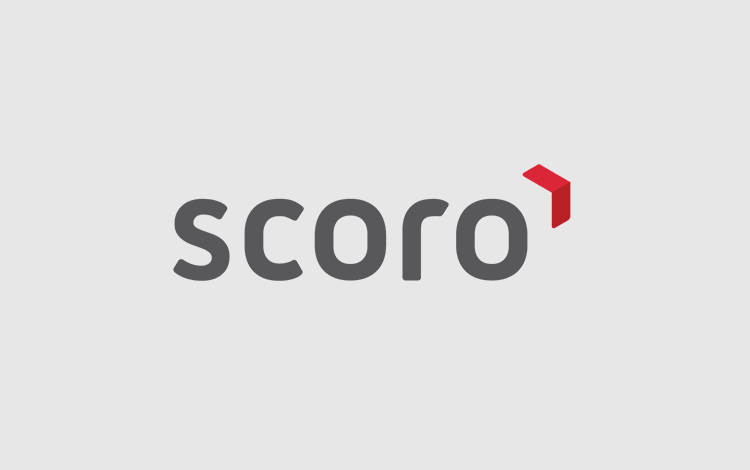 With each version update, Scoro becomes a more powerful tool for reporting and data management. In version 16.1 we focused on detailed reporting and simplified settings. To keep your finances under control, we created a new setting that lets you lock invoices so that they can’t be edited. 1. 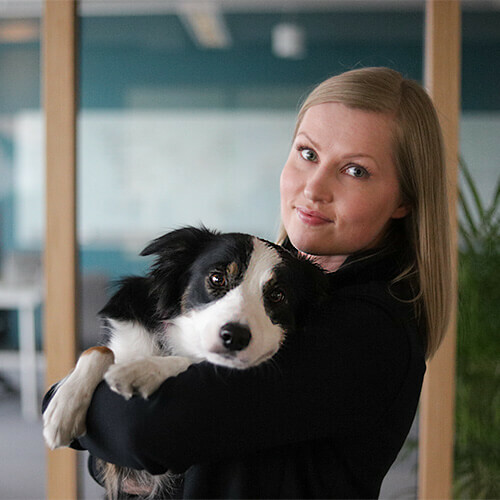 Set up a user role and give it the right to lock invoices. To do this, go to Settings > Administration > Features & Permissions. Next, change the Modules & Permissions of a specific user role, e.g. Management. 2. 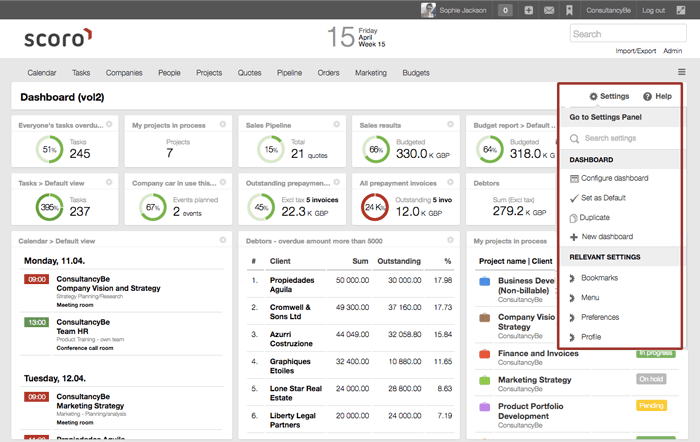 Enable the locking setting in Settings > Sales and Finance > Invoices/Expenses. 3. Set a date – all of the invoices that have been created prior to this date will not be open for editing when the setting is saved. For the users without the access right, that is. Surely, the accountants will now have a better time keeping track of all your invoices. From now on, the invoices will be automatically sent to the address that has been marked in a Company profile on the field ‘E-mail for invoices’. 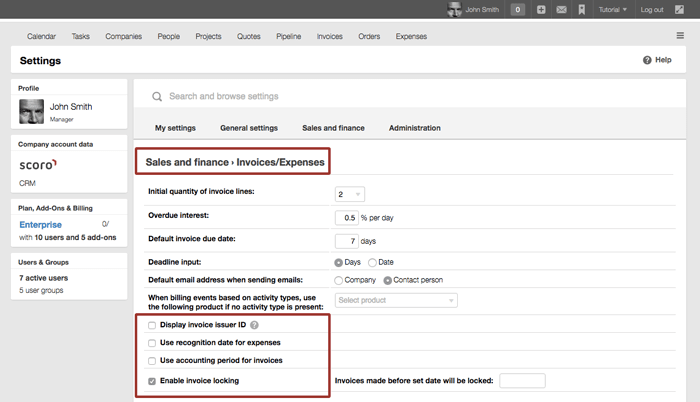 You can fill in the field ‘E-mail for invoices’ as you go to Companies view and click on a company profile. The detailed work report just got more detailed. It now has a combined status filter for calendar events and tasks. In a few clicks, you can filter your work report based on events in the Busy status and/or tasks in the Done status., etc. You can also filter out Planned and Done time entries. The Tasks view became more informative – you can now keep track of how much of the planned time has already been used and what remains. In the time entries section, you can see the sum of all the time spent. Just open a task and be informed about everything you need to know. 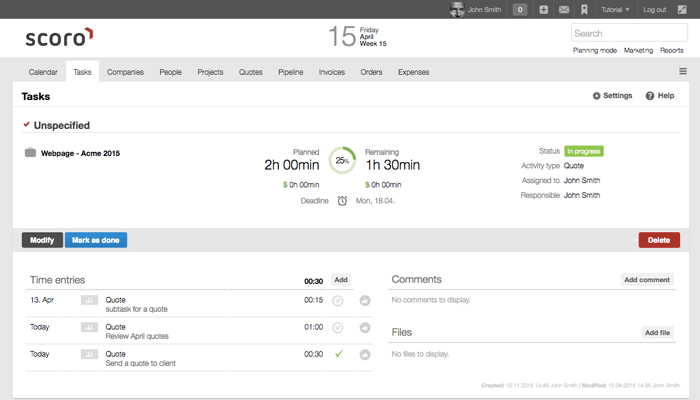 In the last version, we combined the admin panel with the rest of the settings – and we didn’t stop there! To make things even better, the dashboard settings are also now under the general ‘Settings’ button. 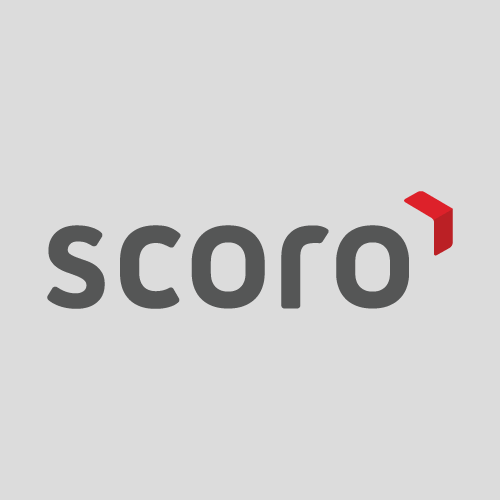 Click on the Settings button on the top right corner of your Scoro page to add widgets to the dashboard, change the currencies used on your site, or configure your menus. 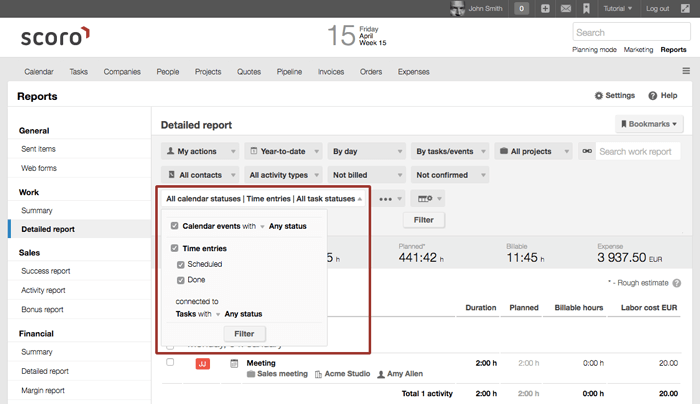 You can now filter your tasks, invoices, clients, etc. by previous, current and next quarter. When changing a project’s status to Completed, you’ll get a notification if there are any uncompleted tasks. You can mark them all done or move them to another project via this notification. You now also get a notification about the uncompleted time entries, when marking a task done. By closing a task, you can also close the time entries. 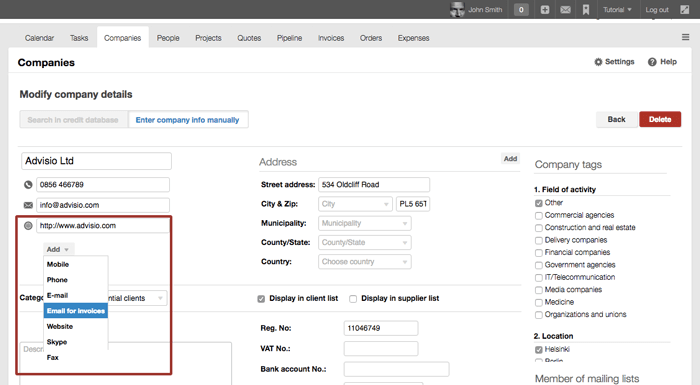 The registry code of a company and the ID code of a person are now customizable columns in the contacts module. Although we give our best for the transition to the new version to be as smooth as possible, please let us know at help@www.scoro.com if you’re noticing any issues with the update. Moreover, feel free to leave a comment to ask further questions or share some ideas and tips with other readers.